After countless false starts and firing some of the best directors out there (too many slow motion shots Bay) the Fandads #SuperMilkMan video is finally up! 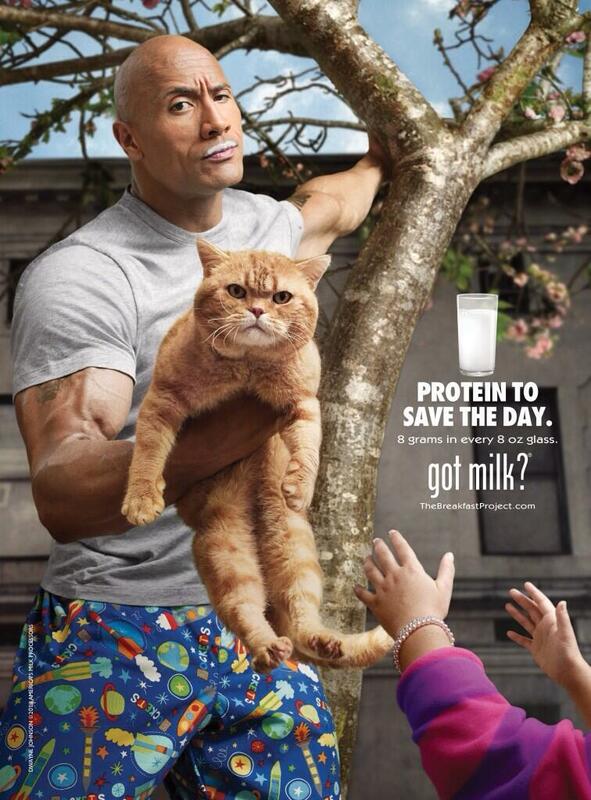 Recently Fandads teamed up with Milk to help promote The Rock's new milk campaign. This team up led to an amazing twitter party, some fun trash talk between the dadbloggers competing, but it also led to some fun videos about how we become #SuperMilkMan. 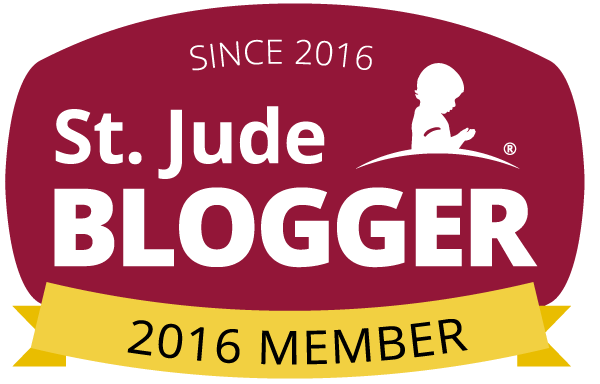 Out of the 25 entrants, one lucky dad blogger is going to win the chance to meet The Rock and maybe compete with him to see who can rescue the most cats from a tree. Our video was fun to make and I'm glad I got to share this experience with my little girl (we're looking at you big award given to movie stars)! Enjoy the video below, share your thoughts with us and make sure to view the other videos on Instagram using the hashtag #SuperMilkMan. Make sure you visit The Breakfast Project for tips, recipes and a chance to win some milk. Yes, you heard that right. 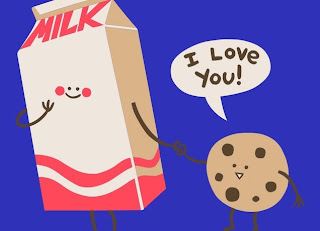 Let me repeat; a chance to win some milk! Thanks for supporting us and hopefully we'll get a chance to meet the Rock and enjoy a nice glass of milk, after we Rock Bottom a few aliens together. In honor of Fandads working with Milk this month, this weeks shirts are milk themed from our friends over at Threadless.com. The shirt "Cookie Loves Milk" was designed by Jess Fink and is a great choice for this week, because what goes better with an 8 ounce glass of milk but some delicious chocolate chip cookies or any type of cookie for that matter. 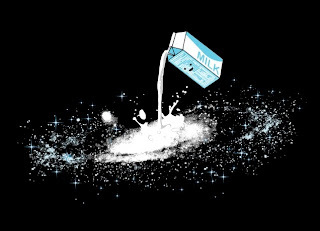 Our second shirt titled "The Milky Way" was designed by Budi Satria Kwan and may be the answer to how our galaxy was created or at least an interesting dramatization. Both of these shirts can be purchased through Threadless by clicking on their respective links. 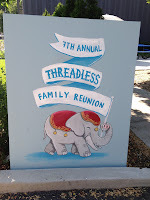 Fandads recently went to a picnic thrown by the Threadless crew and we learned a few things. 1. Threadless headquarters is located right here in Chicago. 2. If I were a creative person, I would love to work here. 3. I learned to make buttons with my little girl. 4. I'm good at throwing darts at balloons. 5. 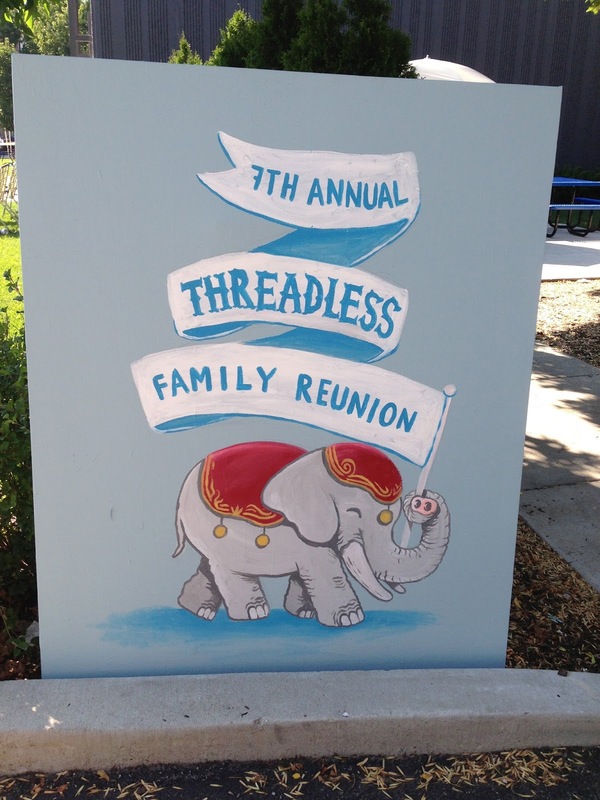 I can't wait for the next years Threadless Reunion Picnic. Todays shirt actually came in the mail from our friends at LootCrate. Lately they have been having some cool shirts in their crates (Deadpool Kool-Aid) and this one goes great with out recent "Brew Over Ice" posts and giveaway. Being fathers and gamers we need all the energy we can get to get us through the day and you know that sleep is something that we can only dream of. This shirt was included in this month's crate thanks to ShirtWoot! and can be purchased on their site for $18. 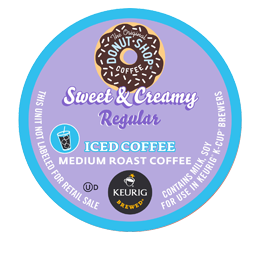 I love my Keurig so when the Fandads were offered some free products to review I jumped all over it. And, as luck would have it, you're about to start reading said review. But before we get into all that, here's a link for you to participate in the "Brew Over Ice Sweepstakes" where you can win instant prizes everyday and enter for a chance to win $10,000. Also, we included another one to download a $2 off coupon! The first one I tried was the Sweet & Creamy iced coffee, it was an early morning and I thought I could use the kick. I'm not a coffee drinker by any means, but this was just sweet enough for me to be able to tolerate it. I decided to give my wife a drink, who is a coffee drinker and she thought it was a bit too sweet for her. 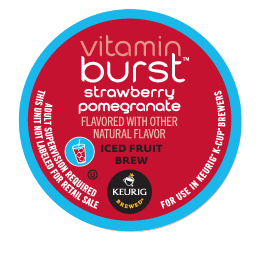 The next flavor I tried was the Strawberry Pomegranate, I was pleasantly surprised, just the right amount of sweetness and had a smooth taste. Apparently it also has vitamins, so that's a plus right? I intentionally saved the best for last. The Snapple Peach Iced Tea. The joke's on the Brew Over Ice Team because I had already tasted (and developed a short lived addiction to) their Snapple Iced Tea line and it is pretty awesome. 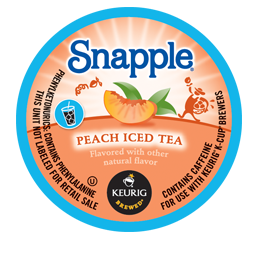 I haven't had a Snapple out of the bottle lately but I'd bet that I either couldn't tell the difference or that the K-cup version is even better. The Snapple Iced Teas really hit the spot, they're especially refreshing on a hot summer day. All of the Brew Over Ice products are quick and easy to brew and I think they're definitely worth checking out, and here's your chance to win a prize pack from the Fandads. Leave us a comment telling us when a nice iced beverage could have come in handy this summer or simply leave us one asking us to hook you up! We'll pick someone at random at midnight CST on Friday the 23rd. Also check out the Brew Over Ice Team on Facebook and/or Twitter. Thanks for reading and good luck! He's not Mother Teresa but he's not Charles Manson either. Today's tee comes to use from the creative minds at Black Action Tees. I picked up this one at C2E2 earlier this year along with a few others. Unlike many companies they offer larger sizes, which is always a plus (no pun intended, well maybe). Here are a few more of my favorites. These are also pretty good conversation starters so be ready to meet new people while wearing them! Now if you'll excuse me, it's time to hit the gym, my power isn't as "discombobulatingly devastating" as it once was. 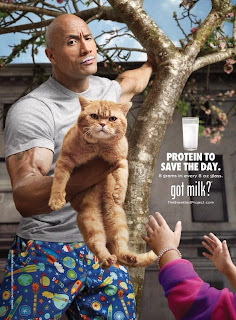 In promoting The Rock's milk campaign and The Breakfast Project, the fellas at Life of Dad are going to throw a #SuperMilkMan Twitter Party this Thursday, August 15 at 12 noon EST/11am CST. Why should you attend this party? Did you not look at the picture? There is a 16GB iPad mini up for grabs along with 5 "The Rock-MIlk Gift Packs"! A party where you don't have to leave home and you can win a prize? Sign me up! As for our video, it is still in the works. Nolan was taking it to a dark place and we want it to be family friendly. Maybe Tarantino is not busy. So join us Thursday and let's have some fun at this party and if you show up with no pants, no one will judge you. Now, we're not going to have all the fun of making a video and leave our readers out. You can get in on this too. Here's how: This Thursday, August 15 Noon EST/11am CST, there will be a Twitter Party thrown by Life of Dad (@lifeofdadshow) and co-hosted by @tommyriles @ChrisRoutly @CuteMonsterDad and @DiaryDad. During this twitter party you will have the chance to win one of 5 "The Rock - Milk Prize Packs" (a $98 value). So if you're on Twitter, Follow us @fandads and @lifeofdadshow and use the hashtag #SuperMilkMan to take part in the party, maybe win a prize, learn more about milk and smell what the Fandads are cooking (sorry, I just had to add that one). Today's shirt is a shirt I picked up a few years ago at Wizard World Chicago and like the Walking Dead/Star Wars shirt we showcased a few weeks ago, it also combines two of my favorite things: Star Wars and Records. 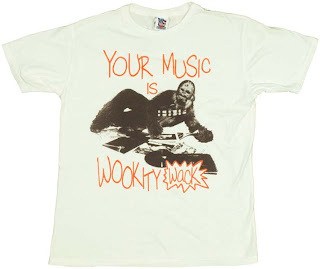 Your Music is Wookity Wack! Can you imagine requesting a wack song from this DJ? I think you better keep your request to yourself before he tears your arms out their sockets. This shirt is available on the Stylin website, you know the huge T-shirt booths at mostly every comic convention you go to. If you like the shirt, click on their link and pick one up for yourself today. The new trailer for Thor The Dark World has been released and its looking pretty good. How will the Loki and Thor team up turn out? Will Loki turn on Thor? Will Jane die? Tune in in November to find out the answers and more. Let us know your thoughts in the comments below. Get Out Alive and Maybe win a Prize. How many times have you seen one of those survival shows on the television and thought to yourself, "I can do that." If you were thrown in the wilderness would you be able to survive? Will those video game skills come in handy in the great outdoors? Will you be too occupied looking out for zombies in the woods? If you have been watching "Get Out ALive with Bear Grylls" you might be in for a surprise and see that it's not as easy as it looks. When it was announced that Disney bought Star Wars we already knew that there was going to be a new princess on the scene. 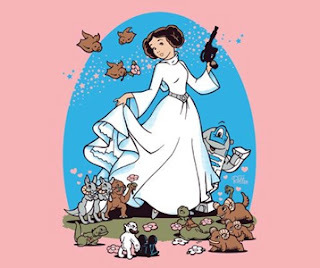 This shirt from ShirtPunch shows what Princess Leia would look like drawn as a Disney princess. I immediately bought two of these shirts for my wife and little girl and they loved them. From the cartoonish R2-D2 to the cuddly Tauntauns and Rancor, this is a Disney princess ready to sing a song for the rebellion or shoot up a stormtrooper. 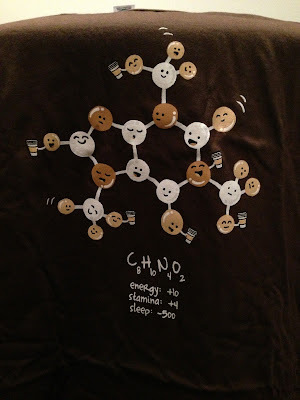 This shirt is still available on redbubble.com for $25.56 in a variety of colors.